The PUC funds an authorized complement of 520 employees, including attorneys, rate and service analysts, auditors, economists, engineers, motor transit and railroad specialists, communications specialists, safety inspectors and enforcement investigators. They work, together with administrative, fiscal, computer and clerical personnel in 12 offices and bureaus that report to an Executive Director. 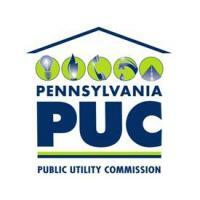 The PUC is funded by assessment of the regulated public utilities. Subject to budget approval, the PUC may assess utilities up to three-tenths of one percent of gross intrastate revenue to cover the cost of regulation. All assessments are paid into the General Fund of the State Treasury through the Department of Revenue for use solely by the Commission. The budget for Fiscal Year 2014-15 is $64,571,000 in state funds and $3,785,000 in federal funds, for a total of $68,356,000. 12/05/2018 - 20:31 PUC Approves Lower Rate Increase than Requested By Columbia Gas of Pennsylvania, Inc.